A 1966 oil painting by Dahlov Ipcar, “Valley of Tishnar” is on display as of June 8 in Dahlov Ipcar: Blue Moons & Menageries, a 2018 summer exhibition at the Bates College Museum of Art. These are events presented on and off campus by Bates College during summer 2018. The public is invited to events in this listing. Except for Bates Dance Festival mainstage performances, admission is free. Bates Dance Festival: This listing includes BDF highlights from the 2018 season, but not every event. For a complete schedule of BDF events, as well as tickets, visit the website. 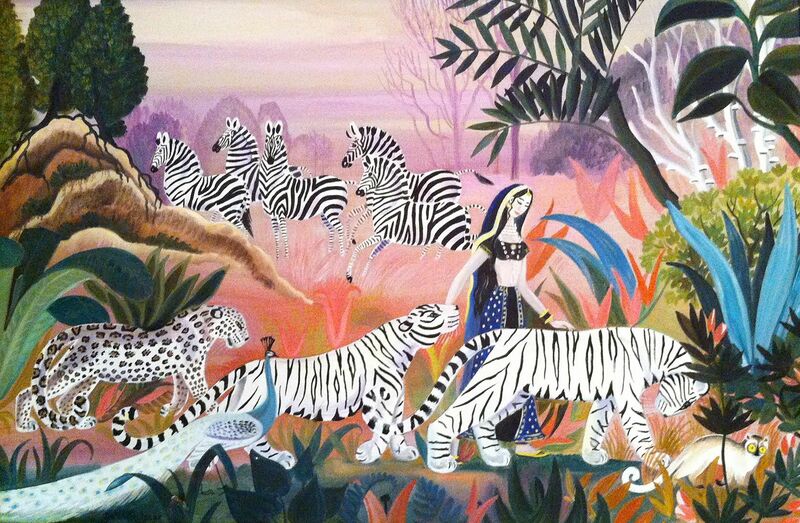 7pm | Opening reception: Dahlov Ipcar: Blue Moons & Menageries. A reception opens the 2018 summer exhibitions at the Bates College Museum of Art (see Museum of Art, below). Blue Moons & Menageries presents paintings, drawings, prints and sculptures spanning nearly the entire career of Ipcar, one of Maine’s best-known artists. Also showing: Maine Moderns: Drawings by Marsden Hartley and Carl Sprinchorn, an exhibition featuring recent gifts to the museum collection. FMI 207-786-6158 or museum@bates.edu. 3pm | Gallery talk: Into the Menagerie. Rachel Walls ’99, principal of Rachel Walls Fine Art, presents a short lecture and leads a gallery talk through the exhibition Dahlov Ipcar: Blue Moons & Menageries. Highlighting specific artworks and themes, Walls will share her detailed knowledge of Ipcar’s life and art based on both her work representing the artist and their long friendship. FMI 207-786-6158 or museum@bates.edu. 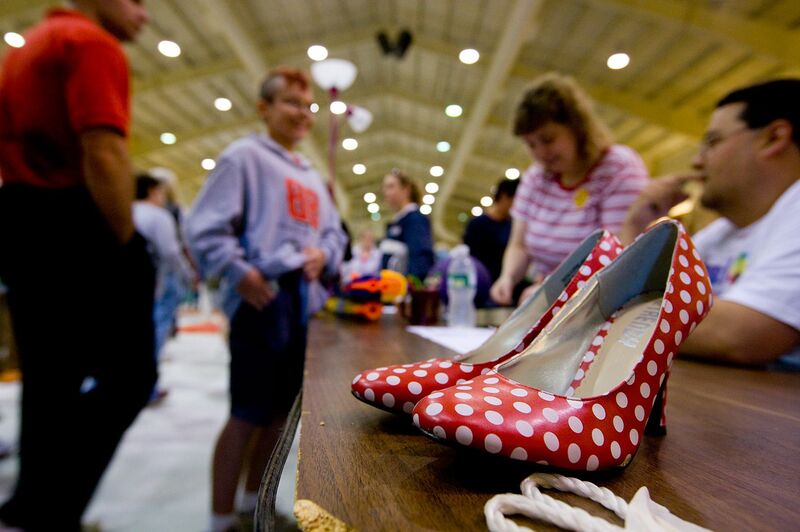 8am | Clean Sweep: One of Maine’s largest community tag sales, this popular annual event benefits the environment, community organizations — and, of course, countless satisfied shoppers. Now in its 18th year, the sale features an estimated 5,000 items including furniture, appliances, electronics, sports equipment, camping gear, rugs, office equipment, clothing and kitchenware. NOTE: Bargain hunters typically arrive hours before doors open, so plan accordingly! FMI 207-786-6207. 1pm | Children’s books by Dahlov Ipcar: Children’s books written and/or illustrated by renowned Maine artist Ipcar take the spotlight in this family event hosted by the Bates Museum of Art. Deb Cleveland, children’s librarian at the Auburn Public Library, begins the event with a reading at the museum, followed by a move to the Mays Center for an art-making activity. Presented in conjunction with the museum exhibition Dahlov Ipcar: Blue Moons & Menageries. Free but registration required: 207-786-8212 or aodom@bates.edu. Zapion performs at Bates on June 28. 6:30pm | Concert on the Quad: Zapion and Anabee. 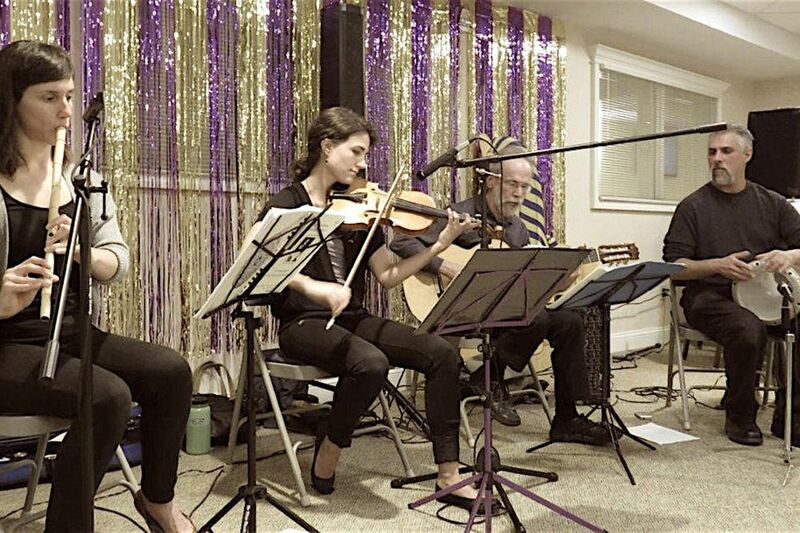 A student of the late Udi Alan Shavarsh Bardezbanian ’72, Eric LaPerna leads Zapion, a band that plays music from the Turkish and Arab traditions, as well as from Iran and the Balkans. Joining Zapion is Anabee, a dancer who performs in traditional Egyptian and Turkish styles. Bring a picnic and chairs or blankets. FMI 207-753-6953 or bates.edu. 7:30pm | Bates Dance Festival: Inside Dance Community Discussion with Erica Mott & Michèle Steinwald. Minneapolis dance curator Steinwald joins choreographer Mott for a discussion of Mott’s MYCELIAL: Street Parliament, a collaboration between Mott Productions and Cairo-based dancers and musicians that uses an audience-participation app to explore interconnectedness in the digital age. FMI batesdancefestival.org. YWCA of Central Maine, 130 East Ave. Noon | Bates Dance Festival: Inside Dance Community Discussion with Erica Mott & Michèle Steinwald (see July 2). 7:30pm | Bates Dance Festival: MYCELIAL: Street Parliament. Festival performances open with the U.S. premiere of a collaboration between Chicago-based Erica Mott Productions and Cairo-based dancers and musicians. 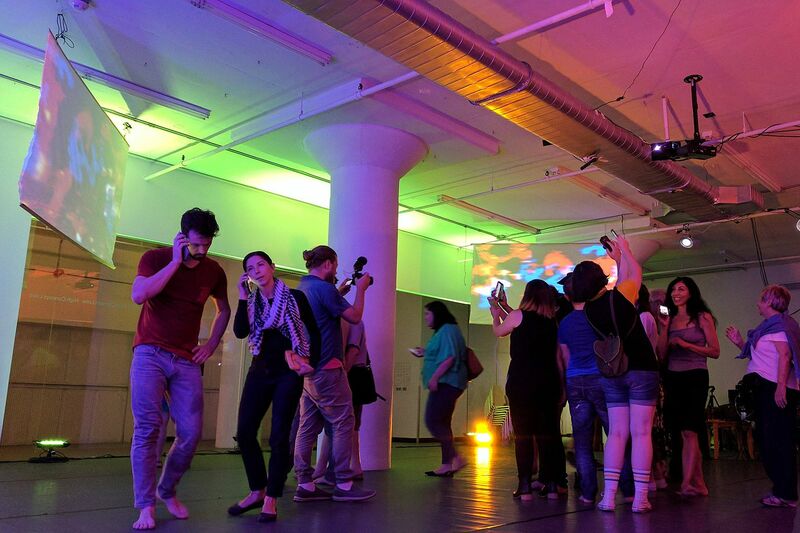 A custom mobile app will guide audience members through multiple performance environments in this exploration of interconnectedness in the digital age. FMI and tickets: batesdancefestival.org. 7:30pm | Bates Dance Festival: MYCELIAL: Street Parliament (see July 5). 7:30 | Bates Dance Festival: MYCELIAL: Street Parliament (see July 5). 5:30pm | Bates Dance Festival: Inside Dance Community Discussion with Sean Dorsey & Lauren Warnecke. Warnecke, dance writer and critic for the Chicago Tribune, joins Dorsey, the nation’s first acclaimed transgender modern dance choreographer, in a discussion of the dance piece Boys in Trouble. Co-commissioned by the festival, the piece scrutinizes traditional American views of masculinity in contemporary America. FMI batesdancefestival.org. 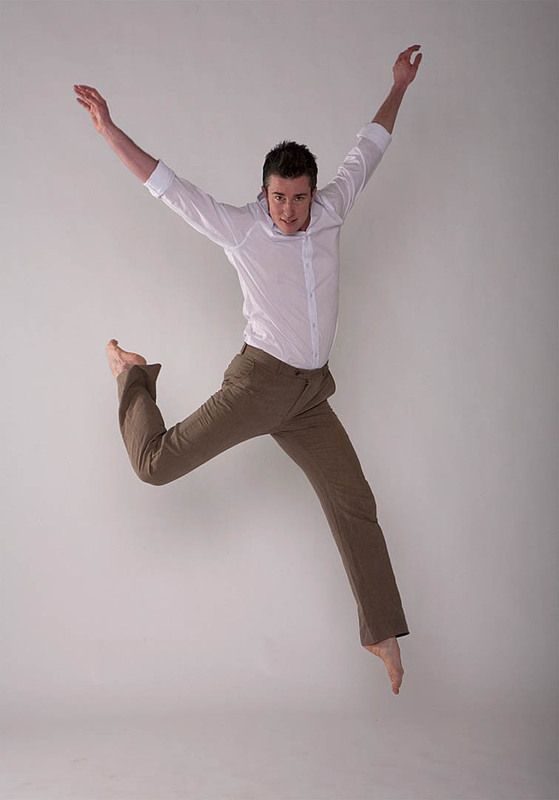 Lewiston Public Library, 200 Lisbon St.
7:30pm | Bates Dance Festival: Sean Dorsey Dance presents Boys in Trouble. Led by the nation’s first acclaimed transgender modern dance choreographer, Sean Dorsey Dance returns to Bates with the New England premiere of a piece co-commissioned by the festival. Full-throttle dance, luscious partnering, highly physical theater and storytelling examine and challenge American views of masculinity. Tickets and FMI batesdancefestival.org. 5:30pm | Bates Dance Festival: Inside Dance Community Discussion with Sean Dorsey & Lauren Warnecke (see July 11). New Beginnings, 134 College St.
7:30pm | Bates Dance Festival: Sean Dorsey Dance presents Boys in Trouble (see July 12). 7pm | Bates Dance Festival: Inside Dance Community Conversation with Jaamil Olawale Kosoko & Rennie Harris PureMovement. A Nigerian American poet, curator and performance artist, Kosoko joins Harris and his company PureMovement for a discussion of Harris’s Lifted — a piece, inspired by the novel Oliver Twist, that employs house music and dance to explore tensions between self-determination and higher obligations. FMI batesdancefestival.org. 6pm | Bates Dance Festival: Making Mill Town. Lindsay LaPointe’s documentary delves into the four-year process of making the immersive dance performance Mill Town by Stephan Koplowitz, a work that was the centerpiece of the 2017 Bates Dance Festival. 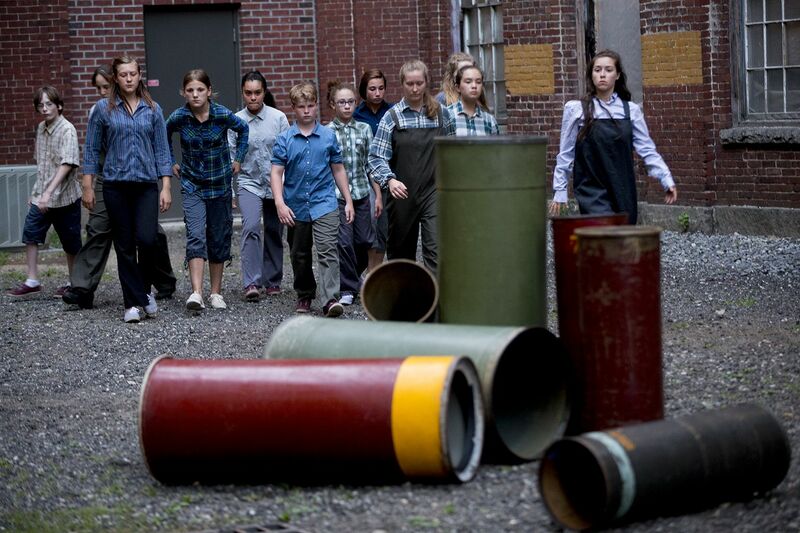 The film tells the compelling story of the creative re-use of a New England mill. Discussion with LaPointe follows the screening. FMI batesdancefestival.org. 7:30pm | Bates Dance Festival: The History of Hip Hop. In this lecture-demonstration, Rennie Harris and PureMovement introduce key personalities in the evolution of hip hop dance culture, tracing that evolution back decades through Afro-Brazilian, Afro-Cuban and Puerto Rican traditions to its roots in Africa. FMI batesdancefestival.org. Dela Murphy will lead contradancing during a Concert on the Quad featuring Erica Brown and the Bluegrass Connection. Noon | Bates Dance Festival: Inside Dance Community Conversation with Jaamil Olawale Kosoko & Rennie Harris PureMovement (see July 16). 6:30pm | Concert on the Quad: Erica Brown & The Bluegrass Connection with contradance teacher Dela Murphy. Renowned contradance caller Murphy teaches the basics of contradance, and then calls dances while Erica Brown & The Bluegrass Connection play music spanning bluegrass, French Canadian and original songs. Bring a picnic and chairs or blankets. FMI 207-753-6953 or bates.edu. 7:30pm | Bates Dance Festival: Rennie Harris PureMovement presents Lifted. 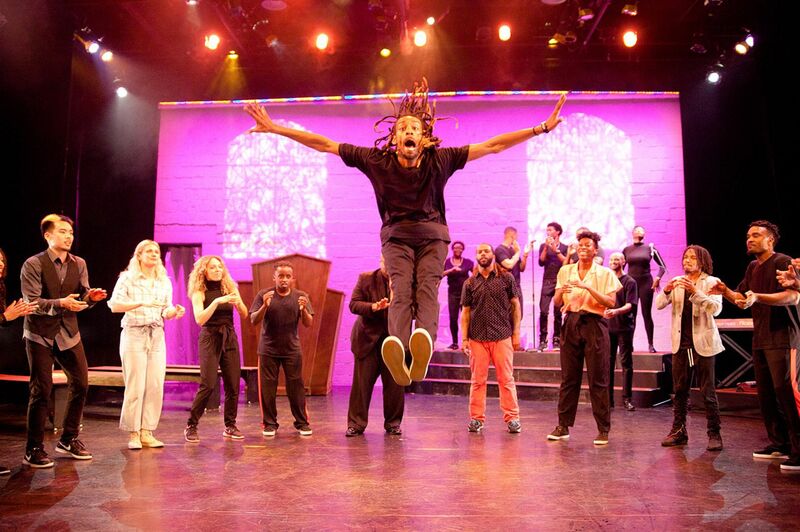 A longtime festival favorite, Harris is a choreographer known for taking hip hop dance from inner-city streets to a mainstream audience — transforming both art form and audience as he goes. Inspired by Oliver Twist but delving into the organic spiritual tapestry of house music and dance (often referred to as “going to church”), Lifted explores tensions between self-determination and family, religion and society. Tickets and FMI batesdancefestival.org. A scene from Lifted by Rennie Harris PureMovement. 10am | Bates Dance Festival: Inside Dance Community Discussion with Sara Juli & Debra Cash. Scholar in residence at the festival since 2009, Cash is executive director of the Boston Dance Alliance. She joins Juli, of Portland, Maine, to discuss the work that Juli and Claire Porter are presenting at the festival: The Lectern: rule by rule by rule, a comedic, eclectic overturning of the protocols, manners and laws that rule our daily lives. FMI batesdancefestival.org. 7:30pm | Bates Dance Festival: Rennie Harris PureMovement presents Lifted (see July 20). Jaamil Olawale Kosoko, an independent artist, curator and poet, offers a pre-performance talk at 7pm. Tickets and FMI batesdancefestival.org. 7:30pm | Bates Dance Festival: Navigating Sexual Harassment in the Dance Studio. 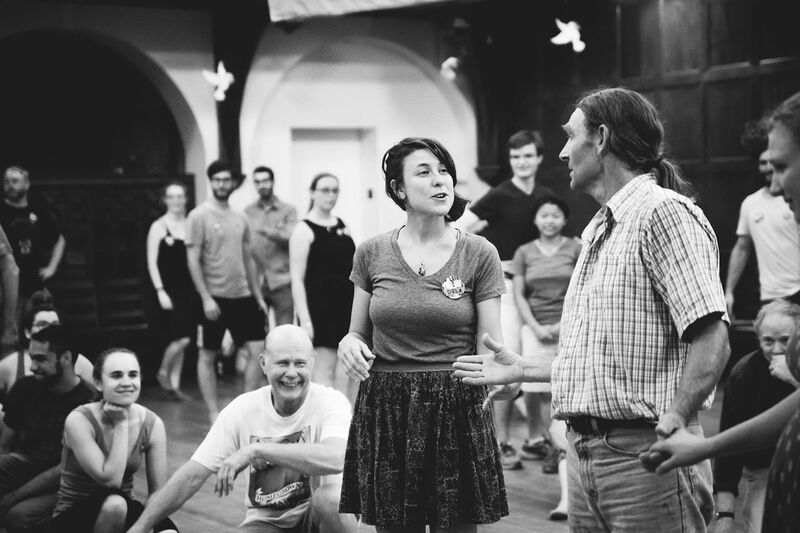 Language, touch and consent — what are the norms of teaching dance that may be inappropriate? Join BDF faculty and artists for an important discussion about bodies and agency in the field of dance education. FMI batesdancefestival.org. 7:30pm | Bates Dance Festival: The Musicians’ Concert. Thoughtful, playful and profound music takes center stage when these extraordinary composers, known for their collaborations with dancers, perform original and improvised works that blend musical styles from around the globe. The evening features multi-instrumentalists Glen Fittin, Jesse Manno and Terrence Karn, whose collective musical repertory spans Africa, Asia and the Middle East; composer-pianists Peter Jones (shown) and Carl Landa; and violin prodigy Rob Flax. Tickets and FMI batesdancefestival.org. Gendron Franco Center, 46 Cedar St.
6pm | Bates Dance Festival: Inside Dance Community Discussion with Sara Juli & Debra Cash (see July 21). 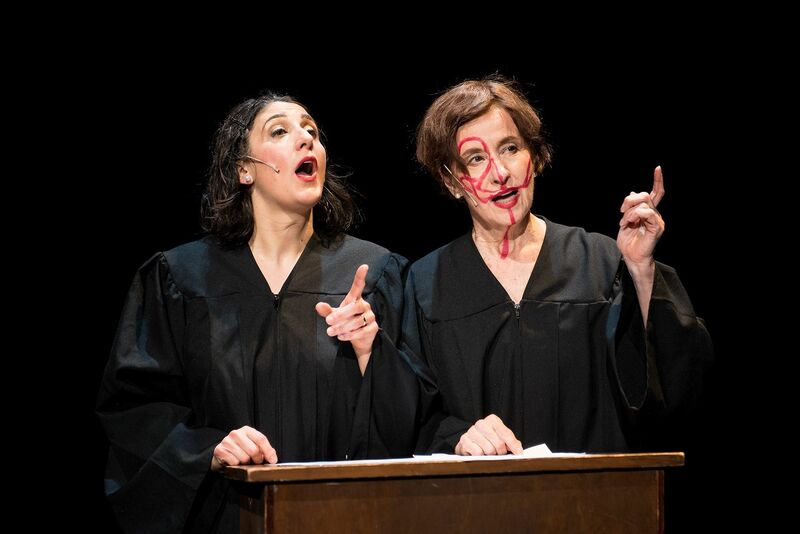 The Public Theatre, 31 Maple St.
7:30pm | Bates Dance Festival: Claire Porter & Sara Juli present The Lectern: rule by rule by rule. Juli, of Portland, Maine, and Porter, of New Jersey, use an arsenal of stage techniques (lectures, dances, physical comedy, improvisation and even a catwalk runway) to effect a comedic upending of the everyday protocols, manners and laws that rule our daily lives. “A hilarious, dynamic pair” — Dance Enthusiast. Tickets and FMI batesdancefestival.org. 7:30pm | Bates Dance Festival: Claire Porter & Sara Juli present The Lectern: rule by rule by rule (see July 27). Debra Cash, executive director of the Boston Dance Alliance, offers a pre-performance talk at 7pm. Tickets and FMI batesdancefestival.org. 5:30pm | Bates Dance Festival: Inside Dance Community Discussion with nora chipaumire & Myron Beasley. Choreographer chipaumire and Bates faculty member Beasley discuss chipaumpire’s festival offering, portrait of myself as my father, a piece that uses a boxing scenario and elastic ties between the performers to question family ties. FMI batesdancefestival.org. 7pm | Bates Dance Festival: Inside Dance Community Discussion with nora chipaumire & Myron Beasley (see July 30). 7:30pm | Bates Dance Festival: Moving in the Moment. This hugely popular evening of improvisational dance returns, featuring contact improvisers Chris Aiken, Angie Hauser and more than 20 festival faculty, artists and musicians. FMI batesdancefestival.org. Singer-songwriter Pete Kilpatrick performs a Concert on The Quad on Aug. 2. 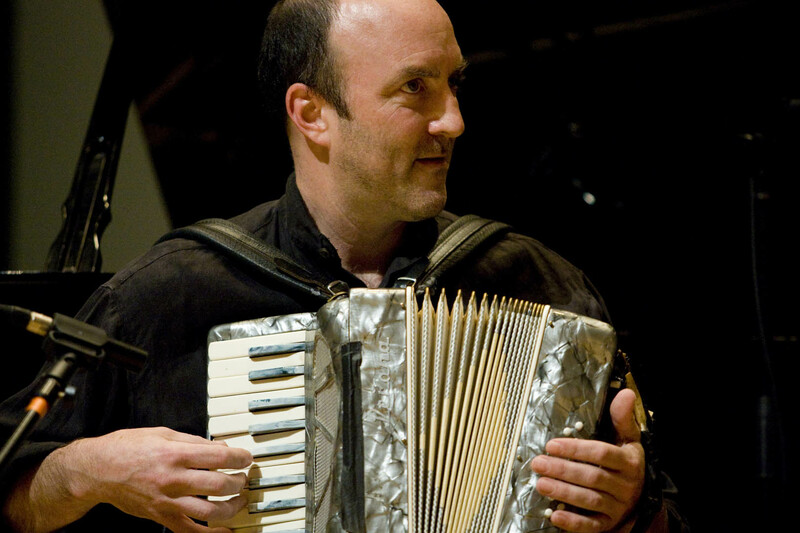 6:30pm | Concert on the Quad: Pete Kilpatrick. 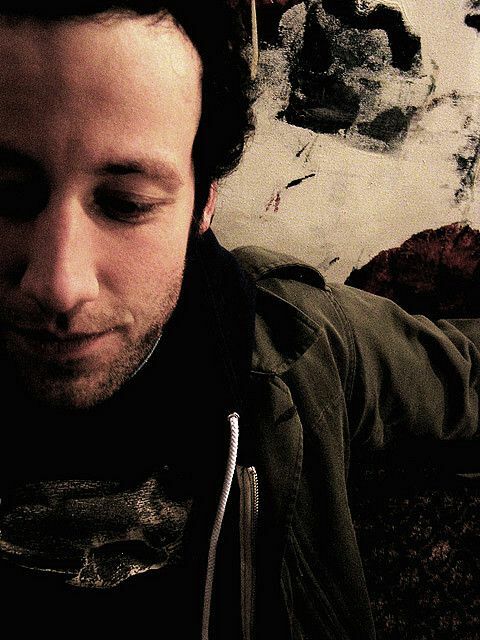 Maine singer-songwriter Kilpatrick has been named Maine’s best act four times in the Portland Best Music Awards, has performed more than 1,400 shows and has seven albums to his credit, including 2016’s Echo. Bring a picnic and chairs or blankets. FMI 207-753-6953 or bates.edu. 7:30pm | Bates Dance Festival: company nora chipaumire presents portrait of myself as my father, a piece that uses a boxing scenario and elastic ties between the performers to question family ties. Tickets and FMI batesdancefestival.org. 7:30pm | Bates Dance Festival: company nora chipaumire presents portrait of myself as my father (see Aug. 2). Myron Beasley of the Bates College faculty offers a pre-performance talk at 7pm. Tickets and FMI batesdancefestival.org. 7:30pm | Bates Dance Festival: Festival Finale. The conclusion of the 2018 festival features repertory pieces in jazz, modern, Afro-modern and hip-hop, performed by BDF Professional Training Program students. Also featured is the culminating performance of the Youth Arts Program, which brings together local artists ages 7–16 and is led by Colombian folkloric dancer Priscilla Rivas. Tickets and FMI batesdancefestival.org. 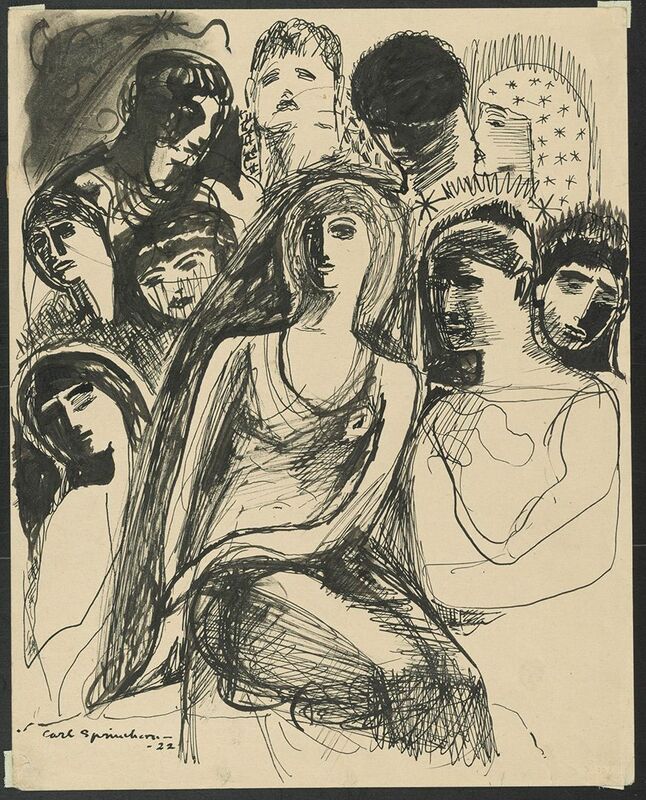 A 1922 drawing by Carl Sprinchorn, “Ten Imaginary Characters” is on display in the exhibition Maine Moderns: Drawings by Marsden Hartley and Carl Sprinchorn at the Bates Museum of Art. Dahlov Ipcar: Blue Moons & Menageries: This exhibition presents a wide array of paintings, drawings, prints and sculptures representing nearly the entire career of Ipcar, one of Maine’s best-known artists. Many of the works shown are exhibited publicly for the first time. Ipcar reached a wide audience through the many children’s books she wrote and illustrated, and many of these images are also included. Maine Moderns: Drawings by Marsden Hartley and Carl Sprinchorn: Sourced primarily from the museum’s Marsden Hartley Memorial Collection, this exhibition brings together figural drawings by artists who were longtime friends. Born in Lewiston, Hartley is recognized as an innovative and important figure in American Modernist painting. His drawings in this exhibition are from a series of later figural works, circa 1940, and are all from the same sketchbook. Sprinchorn was a Swedish-American artist who did much of his work in Maine. His drawings here include works that were in Hartley’s personal collection and several from a recent gift that appeared in Sprinchorn’s first New York show, where he met Hartley.